Dartmoor has a 200-year-old legacy of horse-drawn tramways for mines, quarries and military targets, as well as a legacy of several steam railways from the mid-19th century onwards. At a public debate held by the Dartmoor Society in October 2014, participants keenly supported a suggestion that an ‘audit’ might be undertaken to improve the database of known archaeological features and structures relating to railways and tramways on Dartmoor. With matching funding from Dartmoor National Park Authority, and additional support from Devon County Council, fieldwork by Project Officer Colin Wakeham was undertaken in the autumn and winter. Colin has now completed a comprehensive report. 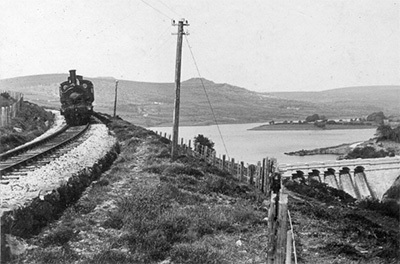 More than 700 features have been identified, recorded and photographed relating to the Plymouth & Dartmoor Railway; The Princetown Branch; The Zeal Tor Tramway; and The Redlake Railway. We hope this successful project will be a model for future work on other Dartmoor railways. Copies of the report are being distributed on disk, with hard copies retained by the Dartmoor Society and Dartmoor National Park Authority.